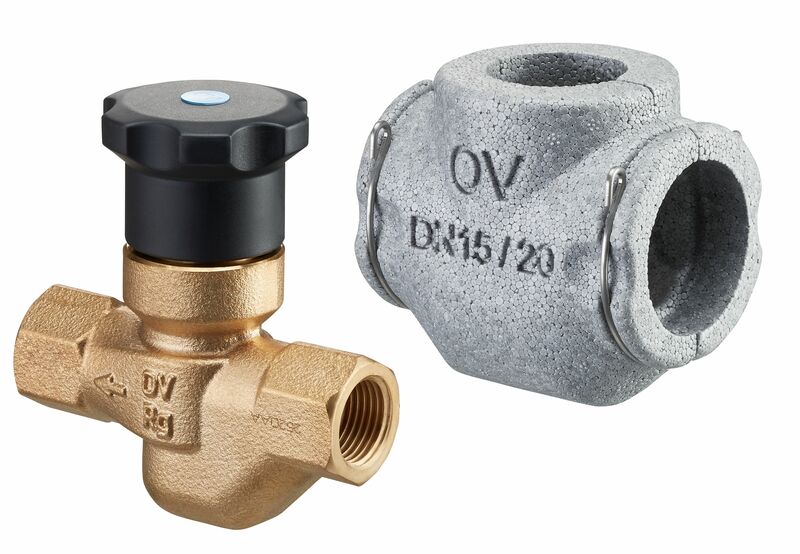 Cold water circulation valve "Aquastrom K"
OVENTROP-Cold water circulation valve "Aquastrom K"
Thermostatic double regulating and commissioning valve for the hydronic balancing of chilled potable water or domestic water systems. 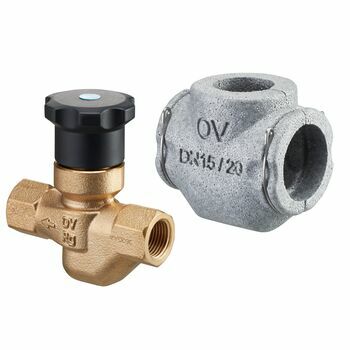 The valve opens above the set temperature and automatically increases the cold water volume flow. Thus, the valve allows an automatic, thermally controlled hydronic balancing in cold water circulation pipes. This way, the supply of chilled potable water at each draw off point of the system is guaranteed. All components in contact with potable water are made of non-brass materials, without dead zone, non-rising stem, maintenance-free stem seal due to double O-ring seal made of EPDM, complete with insulation shells made of EPS according to the Energy Saving Directive (EnEV), fire protection class B1 according to DIN 4102.